This incredibly detailed wedding cake is inspired by the 80s epic puppet fantasy film Dark Crystal and has nearly all the characters. This cake was made by Little Cherry Cake Company in Bacup, Rossendale in Lancashire, UK and won a gold medal at the Cake International contest. 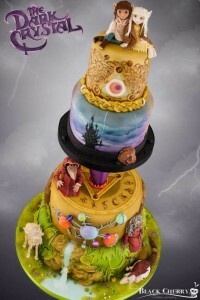 Detail photos that show the crazy amount of work that went into this cake can be found on the bakery’s Facebook page. This superhero cake was made for a Batgirl and Nightwing-themed wedding. The couple fell for each other during a conversation about Batman. The cake’s layers show off the Gotham skyline. 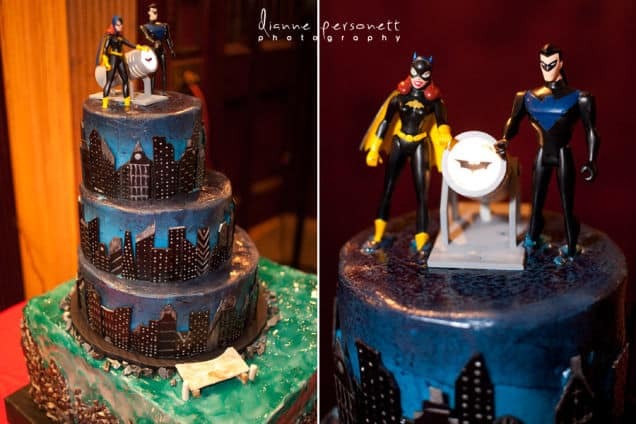 The Batgirl and Nightwing cake toppers have a working Batsignal. This super-detailed Borg Cube cake was posted to Reddit by pat_inthehat. 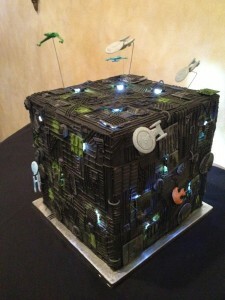 The Star Trek-themed wedding cake was made by his aunt who works with Sugarplum Cake Shoppe in Colorado Springs. 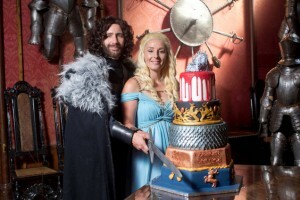 The cake is swarming with starships. 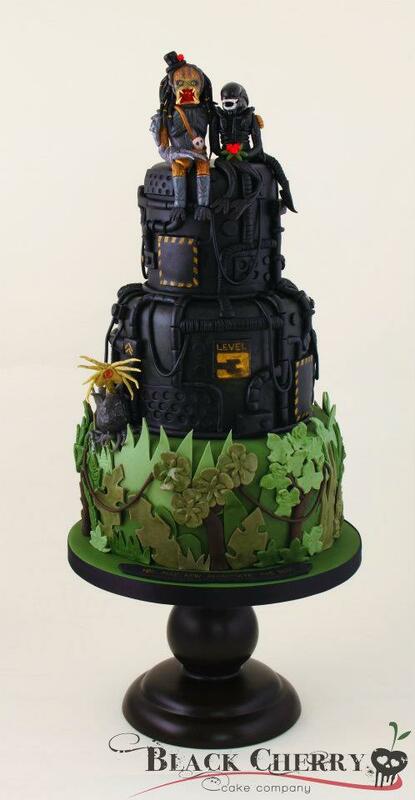 Another nerdy cake made by the Little Cherry Cake Company in the UK is this surprisingly adorable Alien vs. Predator cake. The top two Alien tiers were made based on screenshots from the film and the bottom layer is a Predator jungle tier. An inscription at the bottom reads, “You may now decapitate the bride. 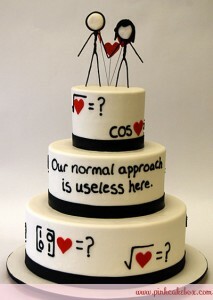 This mathematical cake was made by Pink Cake Box in Denville, New Jersey. 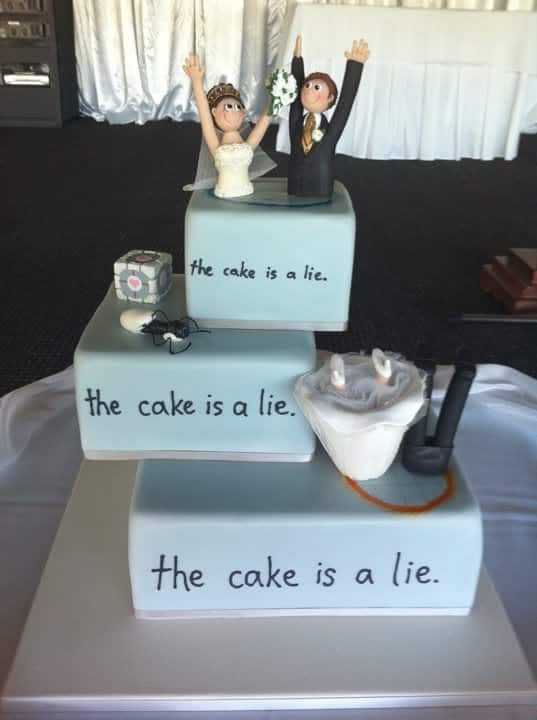 The minimal cake is inspired by a comic by xkcd. Here’s to hoping this cake is not really a lie. This Portal-themed wedding cake is complete with tiny companion cube and portal gun. It was originally posted by sahie on Overclockers.com.au. The cake topper couple is halfway through a portal. 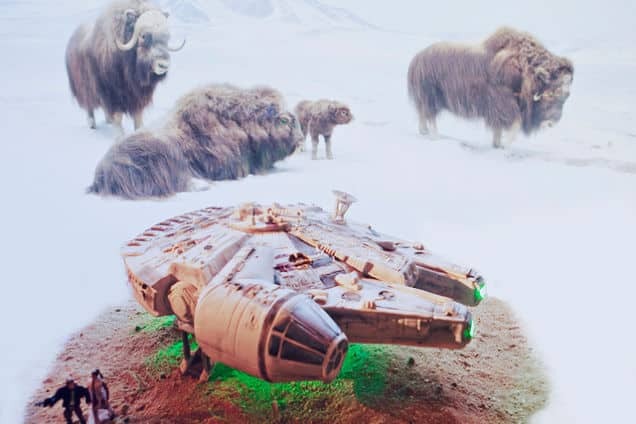 This Star Wars-themed cake is the Millennium Falcon in cake form. The cake lights up and has Han Solo and Leia figures. The buffalo in the background are because the wedding was at LA’s Natural History Museum.